This past weekend was the New England QSO Party. It’s a huge QSO Party for the New England States which include Maine, Vermont, New Hampshire, New York, Massachusetts and of course my home state of Connecticut. What are QSO Parties all about? They are fun, promote the hobby of Amateur Radio, encourage Amateur Radio Operators to get on the air and meet other operators, but ultimately QSO Parties prepare us for handling disasters by knowing how to operate our equipment and relay information efficiently. Did you get on the air? I did! Saturday, May 3rd at 4pm, I got on the air first on 15 meters, then on 40 meters. 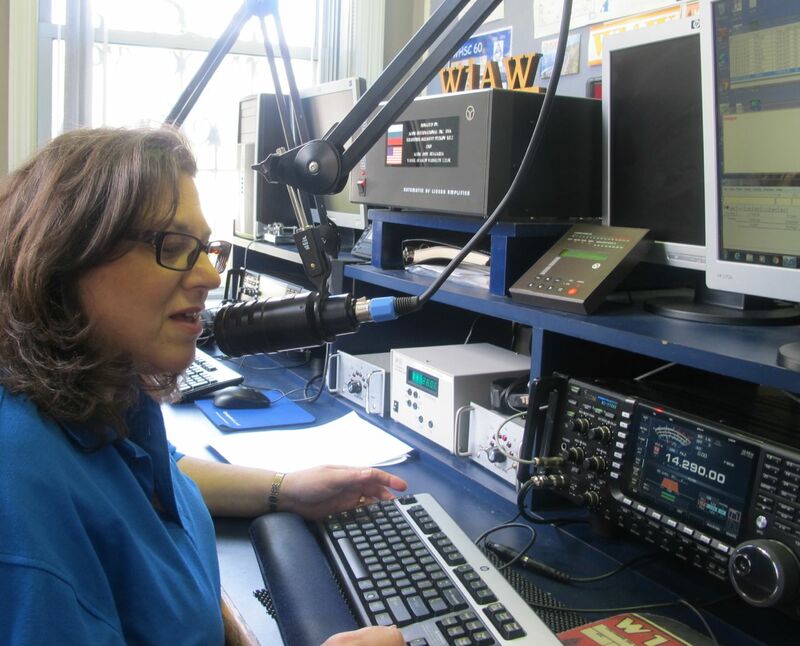 Then on Sunday I traveled to Newington, CT and got on the air as W100AW at the ARRL Station! My club, Candlewood Amateur Radio Association, was invited by the ARRL to operate the W1AW station as part of The New England QSO Party and I operated in Studio One for a few hours as part of my shift. I love operating the W1AW station! It was fun and everyone had a good time. BTW, Did you hear me? This entry was posted in amateur radio, Ham radio, Hobbies, New England QSO Party, QSO Parties. Bookmark the permalink.